Next week sees No Walls gallery drop their first print release of 2013. 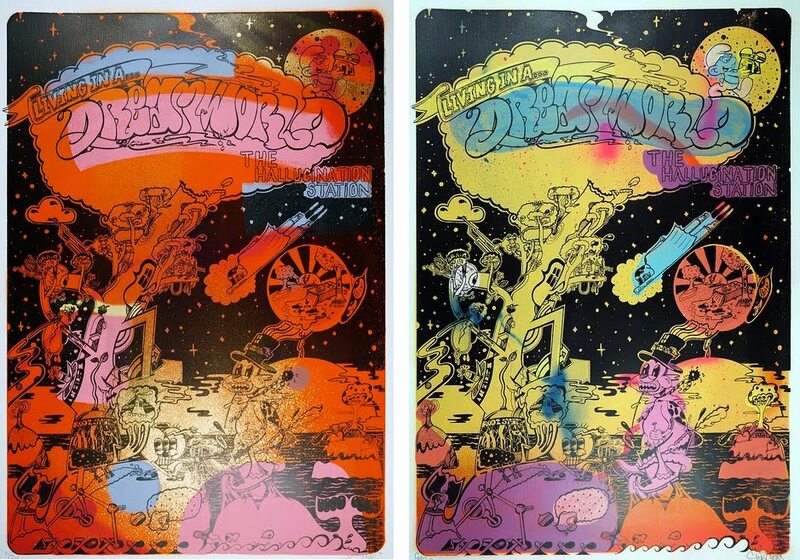 Dreamworld is an incredible hand painted edition of 20 from Sickboy. The prints are 70cm x 100cm on super thick heavyweight paper with Sickboy having painted the background on each one, a clear ink was then screened over the background and he's then hand painted individual details before the black was screen printed over the top making each one slightly different. The Dreamworld edition will be released online on Tuesday the 15th of January from 4pm UK and will be priced at £260 each including free shipping within the UK from the No Walls website.